Raiden Network promises “fast, cheap, scalable token transfers for Ethereum”. 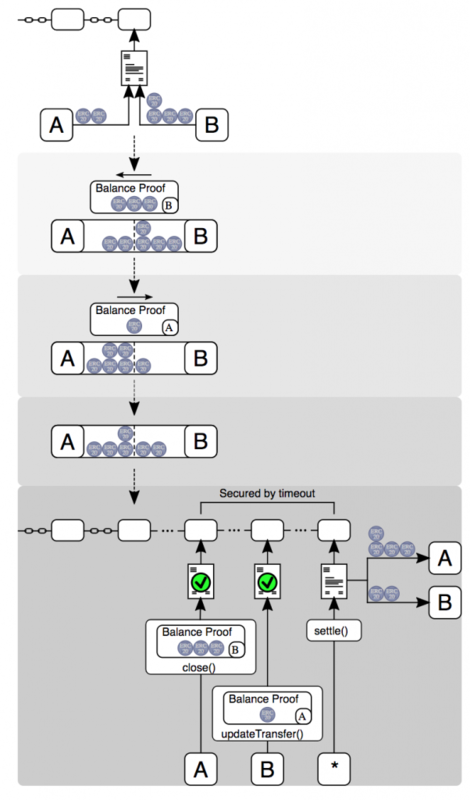 Essentially, this is an off-chain solution which sits on top of the Ethereum network. Thus, Raiden complements Ethereum rather than replace it. The basic idea is to avoid the consensus bottleneck on the blockchain by leveraging a network of payment channels that exist off-chain. But why is Raiden Network needed in the first place? One of the key challenges facing both Bitcoin and Ethereum is their lack of scalability. Specifically, Bitcoin processes about 7 transactions per second, while Ethereum can take about 10. Compare that to Visa: ~4,000 transactions per second. It’s obvious that neither Bitcoin nor Ethereum could displace the incumbent payments processors without increasing their throughput. Raiden Network separates itself slightly from your typical ICO in that they don’t actually have a whitepaper. Instead, they’ve (sensibly) focused on actually building their product. They have put together a Raiden Network 101 though, and you can have a look at their code on Github. This is an alternative approach to solving the scalability problem, which other startups are also tacking – albeit in different ways. Zilliqa is another example of how to solve this problem, where the concept of sharding is central. Interestingly, the team members are not listed on the Raiden website. Inspecting their FAQ page, it turns out there’s a company called Brainbot behind this project. Brainbot’s CEO and Founder is Heiko Hees, who has worked as a core developer for Ethereum for almost 4 years. Many of the team members at Brainbot have plenty of hands-on Ethereum work experience, so there’s no lack of blockchain expertise in this team. You can sign up to the Raiden Network whitelist now. If you aim to contribute more than 2.5 ETH, then you’ll have to go through their KYC process.